Direct, continuous cooperation between spinal-trained Orthopaedic and Neurosurgeon. 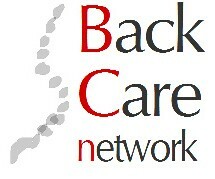 BackCare operates a (unique in Greece) ‘joint-specialty’ spinal outpatient clinic which has been proven of great benefit to the diagnosis and treatment outcome of complex spinal problems. We have developed and apply to everyday clinical practice a comprehensive diagnostic methodology for spinal disorders. In simple terms this means that we use all modern specialised diagnostic methods (e.g. ‘dynamic’ discography) to achieve the highest accuracy in diagnosing the cause of symptoms without unnecessary procedures and delays. We have a special clinical interest in the detailed investigation and treatment of the difficult problem of ‘failed back surgery syndrome’ which is, unfortunately common today as a result of multiple causes (e.g. postoperative infection, spinal fusion hardware failure, development of postoperative scar tissue, wrong-level or wrong-diagnosis spinal surgery). We apply modern up-to-date surgical techniques for treatment of spinal problems. Examples include total disc replacement and spinal fusion using advanced computer neuronavigation (the first spinal fusion using last generation neuronavigation in Greece was carried out successfully by Back Care network surgeons Dr. Panayiotis Nomikos, Neurosurgeon and Dr. Ioannis Karnezis, Orthopaedic Surgeon using the ‘Sunergy StealthStation’ neuronavigation system). Having recognised the importance of minimising potential adverse effects of spinal surgery we preferentially apply minimally-invasive techniques in the surgical management of our patients. Examples include the percutaneous use of Laser or radiofrequency to treat lumbar disc wear causing lower back pain and percutaneous spinal fusion methods without the long skin incisions that are typical of the ‘traditional’ spinal procedures. As we live in an era of rapid progress in the treatment of spinal problems, our philosophy, scientific background, commitment in keeping abreast with modern developments as well as our participation in developing new pioneering methods in the field ensures that our patients have all the benefits from today’s scientific advances. Last, but not least, we always pay particular attention to informing our patients of all details relevant to their problem and giving them all necessary details of the treatment options so that our patients can always take appropriate and timely decisions regarding the management of their condition.